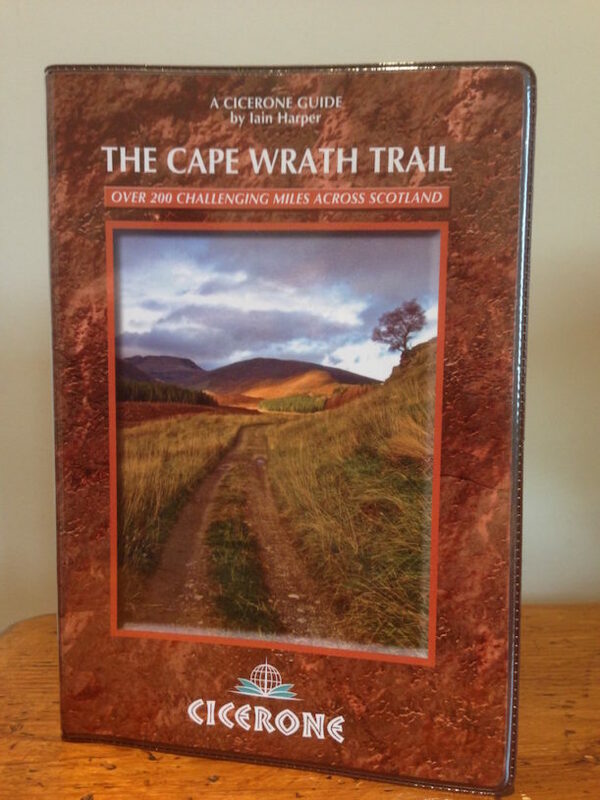 Cape Wrath Trail Guide is now available! Five years in the writing and researching, I'm delighted to announce that the new Cape Wrath Trail Guide has landed on the doormat and is finally available to purchase. It's the first major update to the route in nearly 15 years and has been a real labour of love. From today, the new guide can be purchased directly from Cicerone. The guide should be available in shops shortly and from Amazon later this month / early next month. Any book that follows a route primarily suggested by others inevitably owes a large debt of gratitude to those that blazed the trail. In particular David Paterson, Cameron McNeish, Denis Brook and Phil Hinchcliffe: without their pioneering and inspirational work, this route wouldnt be as popular as it is today. Im very grateful to my beautiful and long-suffering wife, who put up with me being far away from home over two consecutive Christmases and many other trips to research this book. Id also like to thank Bob Smith for his companionship during the second winter expedi- tion where we endured some of the coldest conditions in twenty years. Tom Forrest has probably done more than any single individual to promote the Cape Wrath Trail and has been hugely generous with advice and sup- port during the writing of this book. Thanks also to the many people who have got in touch from all over the world with information fresh from their own journeys along the trail, in particular Dean Crosby and David Hird. Of course no printed guide can stay completely current for long, which is why this website has been developed to support it. It's already turned into a great resource with some fantastic photos and contributions from walkers all over the world. This book draws together, updates and attempts to improve on a variety of routes that have previously been suggested. It also offers a wide range of variations, recognising that here can be no definitive path suitable for all. Follow as much or as little of the route as you like. Take detours, plan alternatives, make the journey to the cape your own. Its one that will live with you for the rest of your life.